Dear parent, I thought I would try to ‘explain’ which competition events your children should be entering. I have set out below what should be viewed as good practice. 2) Where 50m & 100m swims are available these should NOT be entered at the expense of 200m & 400m swims. 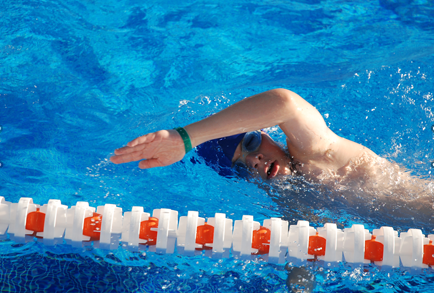 Younger children are more physically capable of swimming 200m events. The message I’m trying to convey is to get the kids to compete at every possible distance, especially when they are younger. As you can imagine this builds great competitive confidence! NB Some competitions do not cover all distances. If you want any more advice please speak to me. It is good practice to equip yourself for a long day. You will need plenty of food (the correct type, see the Nutrition page) and water. You will need to wear ‘Club Kit and a Club Hat’ this needs to be worn at ALL COMPETITIONS, you will also need a change of costume(s) and spare towel(s). Female athletes usually buy a smaller costume for racing, speak to Andrea for more advice. ‘Head Coach Designated Competitions’ this means that ‘every competitive swimmer’ is expected to attend and swim at least one event per session (where you can qualify) We MUST compete as a Club whenever possible. See Ian or Andrea for more information. All entries to Andy ASAP Please.